The Vantage Series 548 Hinged door has been successfully tested to keep water out. Open out door will resist up to 300Pa of water. Open in door will resist up to 200Pa of water. Doors are hinged off a heavy duty double tubular jamb with thickened webs where hinges are attached. Door sections suit high quality hardware and are capable of supporting the glass without sagging. Parliament hinges allow external swing doors to be opened up 180º back against the wall. Concealed lock keeper specially designed to fit in the cavity on the leading edge of the ”lazy side• door and eliminates unsightly holes milled in the aluminium for latch and lock bolt. The heavy duty door panels are capable of carrying 20mm insulating glass. Designed as a replacement for the traditional 135mm x 38mm timber entry door framing. Frames can be delivered to site with door panels and hardware fitted. 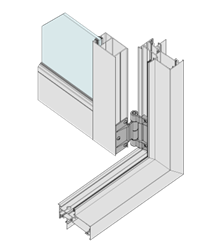 Self draining sill option on internal opening doors. Alternatively for those exposed locations we recommend the external swing splayed sill. Both internal and external swing doors fitted with sill section have been tested to Australian Standard AS2047 and will resist 200Pa water. The aluminium entry door features extra wide top and bottom rails that give the door the chunky appearance of traditional timber designs. Rebated door stiles give a flush appearance when the two doors meet and provide superior weather protection. Unsightly applied rebates are eliminated. Throwing the lock tongue into timber framing has always been a security weakness. Series 549 aluminium frame will significantly improve this locking point. Doors can be supplied with a lever lock installed in the door stile or with a tulip knob lock placed in a door chair rail. Three proprietary lever lock set options including 316 stainless steel finish for costal applications. Doors can be fitted with custom parliament hinges for those applications where doors have to lay open at 180º against the wall. Door panels can be fitted with ClearVENT™ sashless Double-Hung panels. Series 50 hinged doors with 50mm thick stiles are significantly stronger than industry standard 44mm thick doors. Can be configured as hinged, sliding or pivot style door. 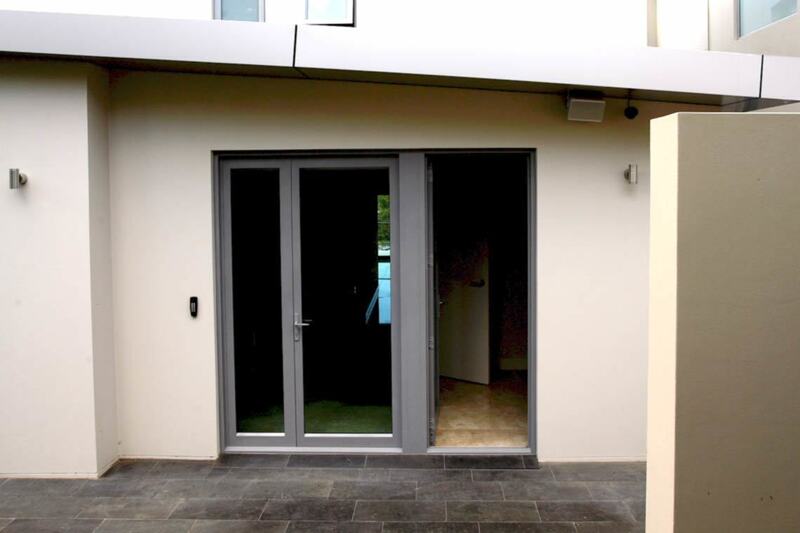 50mm thick doors are ideal for over height doors - they comply. 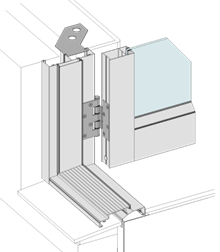 Series 50 doors have removable snap-on glazing beads on horizontals and wrap around stiles. Hinged door glass can be blocked with custom stile glazing block and adjustable setting block. 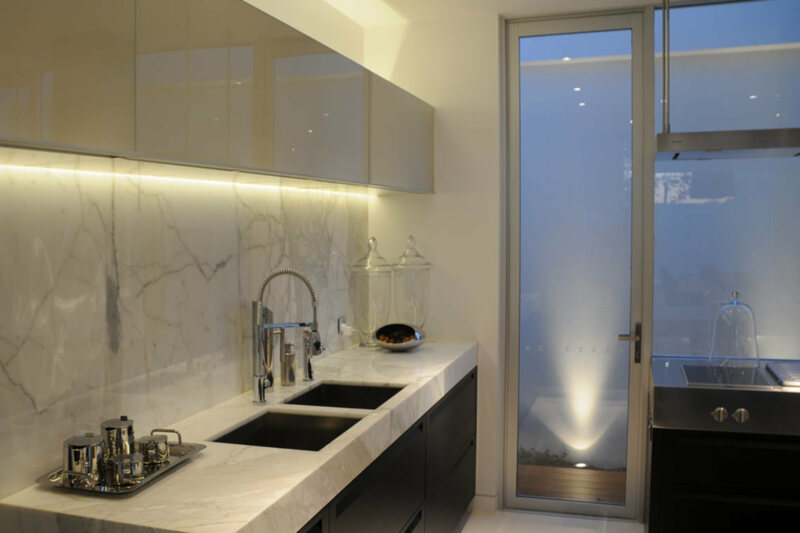 Series 50 doors will accept glass up to 10.38mm thick. Four midrail options 50mm, 115mm, 125mm and 200mm deep. Rebated French meeting stiles option available. Series 852 hinged doors are an innovative thermally broken aluminium commercial door system designed to complement the Elevate™ Commercial thermally broken CentreGLAZE™ and FrontGLAZE™ framing systems. 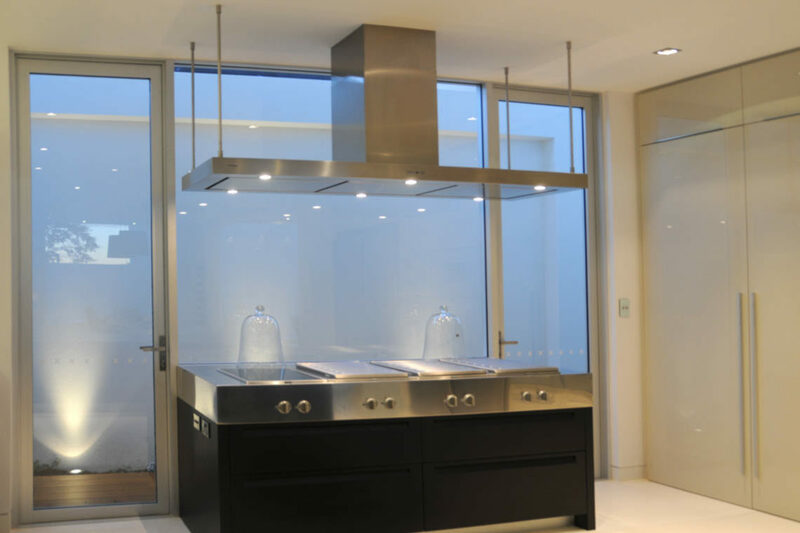 Incorporating ThermalHEART™ technology, Series 852 hinged doors deliver excellent thermal performance and are ideal for commercial and high-end residential applications where minimising heat or cold transfer is desired. Series 852 commercial hinged door system incorporated fully beaded 50mm thick heavy duty door stiles and rails designed to accept 24mm IGUs. We also offer a range of snap-on glazing beads to allow us to fit thinner glass – down to 4mm thick. Hinged door stiles have been designed to accept wide backset (34mm and 38mm) locks. The greater the backset the easier it is to access the key. Double glazed hinged doors will be heavy and for this reason we have designed an adjustable heavy duty hinge. 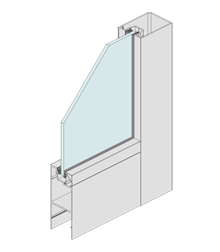 Captive co-extruded glazing wedge option (illustrated) reduces the chance of vandalism. Top and bottom rails are secured to stiles with heavy duty spigot fixed to thick backing plate with high tensile bolts.